ALERT - NC Coastal Federation... a 600lb Gorilla and NC's Newest Grant Scheme! "Please correct me if I am wrong – isn’t the purpose of USFWS agencies to preserve and protect our wildlife, not to destroy it? Why eradicate an entire species when there are MANY other predators that are just as responsible? Without wolves to initiate the feeding cycle, countless other wildlife will die off – including but not limited to: eagles, hawks, foxes, coyotes, bears, panthers, ravens, and even insects just to name a few! Are you really ready to commit wildlife genocide?" 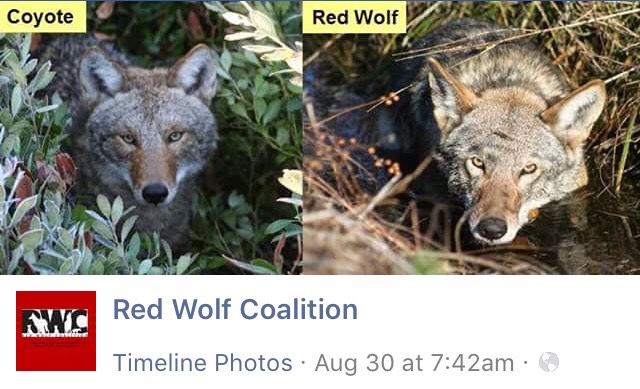 USFWS has successfully funded what allegedly appears to be an Illegally Funded Captive Wolf Mill, (Point Defiance Zoo) that has for many years backcrossed hybrid Red Wolves based off Invented and unapproved DNA. The False Claims Act, also called the "Lincoln Law") is an American federal law that imposes liability on persons and companies (typically federal contractors) who defraud governmental programs. It is the federal Government's primary litigation tool in combating fraud against the Government. Further, USFWS has long carried out Adaptive Den Hunting, a management scheme coauthored by the Defenders of Wildlife and the Red Wolf Coalition. This highly controversial scheme is defined by locating dens of newborn nursing pups during whelping season. Each are then tested against PDZ's invented and unapproved DNA. Should these pups not be deemed a match, a member of the Red Wolf Recovery Team reportedly holds the pups head inside a five gallon bucket filled with water until all signs of life are extinguished. Other methods of pup dispatch utilized by USFWS include the use of hammers byway of a single swift blow. Do you suppose there was any Red Wolf dialogue at today's Fish and Wildlife Conferance?? It's widely known, USFWS officially defines a Red Wolf based on its measurements and NOT (PDZ Back Crossed / Invented) DNA! 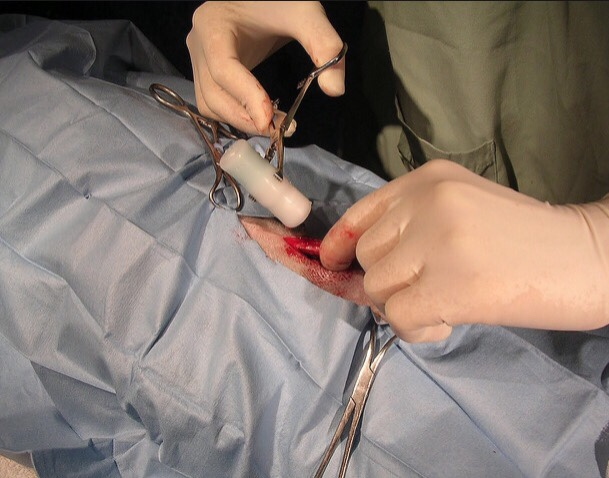 Thankfully, Dr. David Mech recently took the time to artificially inseminate / breed a Coyote with a Grey Wolf, allowing a first look at the true physical characteristics between a know Gray Wolf and the Common Coyote. Further batches of hybrids have since been born, some quite closely related. However, perhaps not quite as related as the highly grant funded and studied Milltail pack. Dr. Joey Hinton so well documented on YouTube, until the Dr. Hinton's own words were published. This caused Dr. Hinton's Truth' Spew'n... to become quickly suppressed and subsequently deleted, as not to disrupt any future University of Georgia Federal Grants and limit the further taxpayer funded development t of Dr. Hinton's CV! "The Captive stock is well represented but not all preformed well in captivity." "It gets worse when you get in the wild, only 6 Founders are represented in the wild due to Inbreeding Effects." I have never found one of those. Never really looked inside. Might need to start poking around a little, might be a reward. One was found near here where trapped coyotes were dumped. I don't think it was a real 100% coyote it was found in. Odie - Have you ever found any of these in Coyotes or just in #FakeWolves? Did USFWS expand the Adaptive Management of Nursing Pups to now include NASA's Cats? Is Arizona State University interested in #FakeScience (DNA) or just Federal Grants? 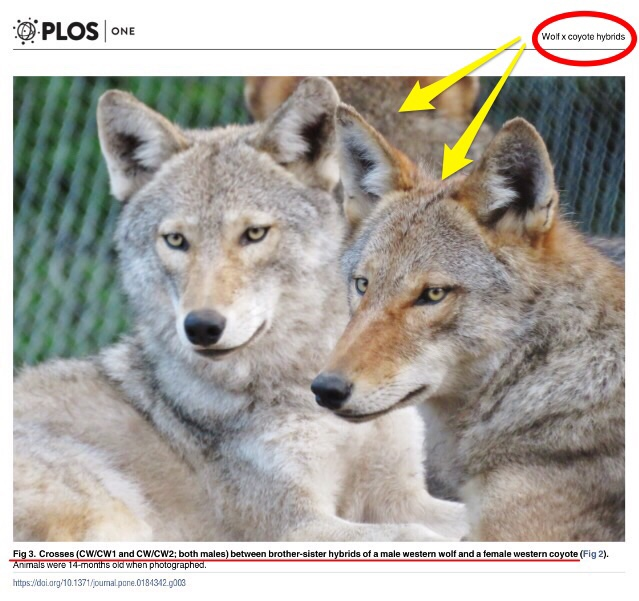 Certainly the good doctor is fully aware nothing about today's Red Wolf was ever endangered? JONESBORO -- Arkansas State University, which changed its mascot from the Indians to the Red Wolves in 2008, is now working toward helping save the endangered species. The U.S. Fish and Wildlife Service and the Endangered Wolf Center in Eureka, Mo., will begin sending blood and tissue samples of red wolves, along with carcasses, to the Arkansas Center for Biodiversity Collections on the Jonesboro campus. The center will catalog the samples, and research causes of diseases and death in the dwindling red wolf population, said Thomas Risch, professor of animal ecology and chairman of ASU's Department of Biological Sciences. "Our role is as a curator," Risch said. "But we will be involved in repopulating the species."